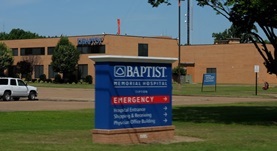 Dr. James Acker is a radiologist from Memphis, Tennessee and he works at several hospitals in the area, such as Baptist Memorial Hospital-Memphis and Baptist Memorial Hospital-Tipton. He got his diploma from Medical College of Georgia School of Medicine and did his internship and residency in Radiology at Medical College of Georgia. The doctor is certified in Diagnostic Radiology, Neuroradiology and has an experience of more than 20 years. Dr. James Acker has contributed to 3 publications. Kennedy, K.M., Erickson, K.I., Rodrigue, K.M., Voss, M.W., Colcombe, S.J., Kramer, A.F., Acker, J.D., Raz, N.; Neurobiol Aging. 2009 Oct.
Neuroanatomical correlates of fluid intelligence in healthy adults and persons with vascular risk factors. Raz, N., Rodrigue, K.M., Kennedy, K.M., Acker, J.D. ; Neuropsychology. 2007 Mar.